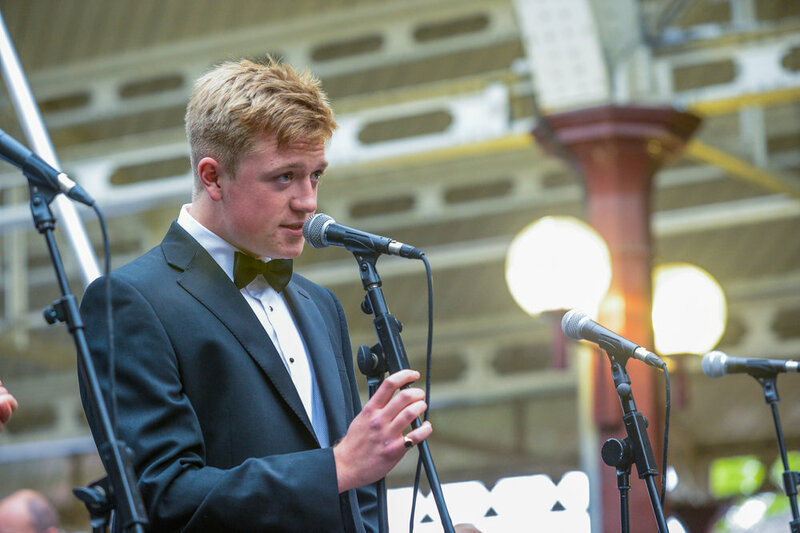 We’re proud to announce that the William Cross Foundation has been able to support student Ed Axtell with the provision of a grant for a new guitar. 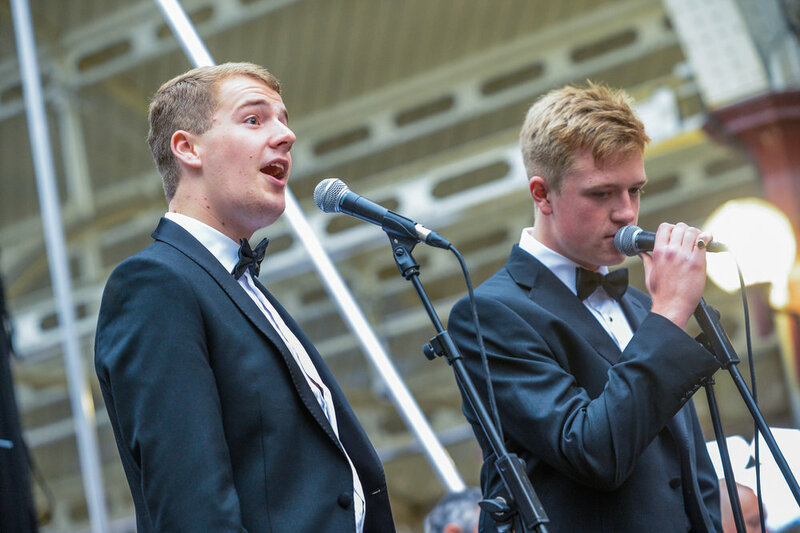 Ed is in his second year at Bath Spa University studying commercial music and we were struck by his enthusiasm and passion. Ed lives with autism and the trustees agreed that the Foundation would make funds available to enable Ed to take his musical development further. You can find out more about autism through the National Autism Society. Julie Franklin completes the Great North Run and raises £1080 and counting! A fantastic effort by Julie Franklin who has raised a whopping £1080 to date after completing the Great North Run! Julie showed great determination in completing the course, having been very unwell in the lead up to, and during the event. Above and beyond the call of duty. Thank you! It’s not to late to sponsor Julie. Just click the button below! 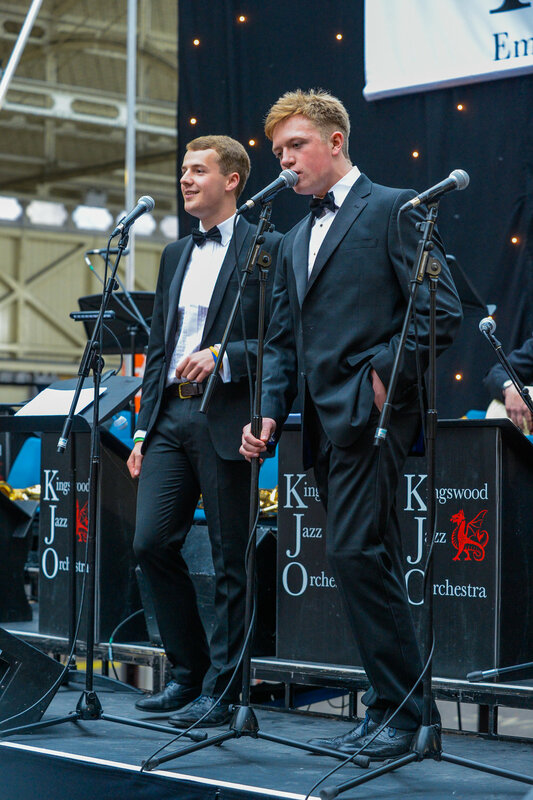 A number of photos have been discovered from the Kingswood School annual jazz gig held at Green Park Station on Friday, 20th May 2016. 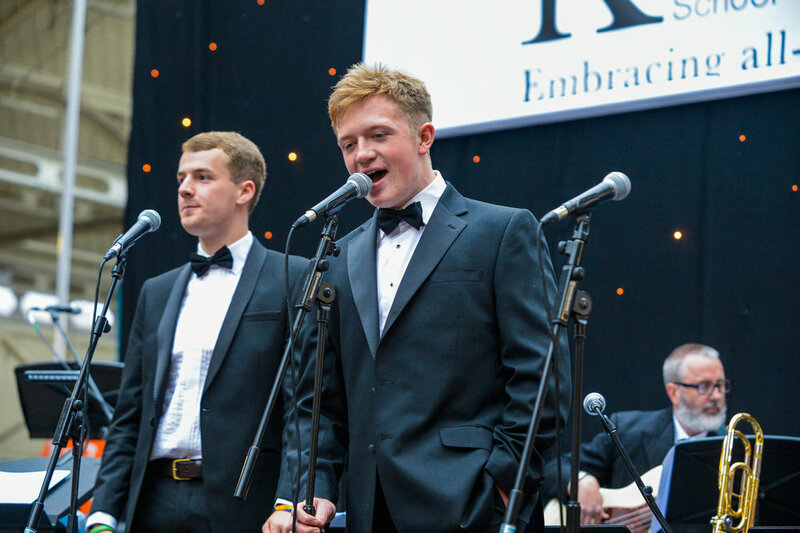 Will is pictured here singing a duet with Tom Parsons. These are the last pictures that we have of Will... The pictures are also available on the Gallery. Julie Franklin, the wife of Richard Franklin, one of Paul's cycling friends, is running the Great North Run today in aid of the Foundation. 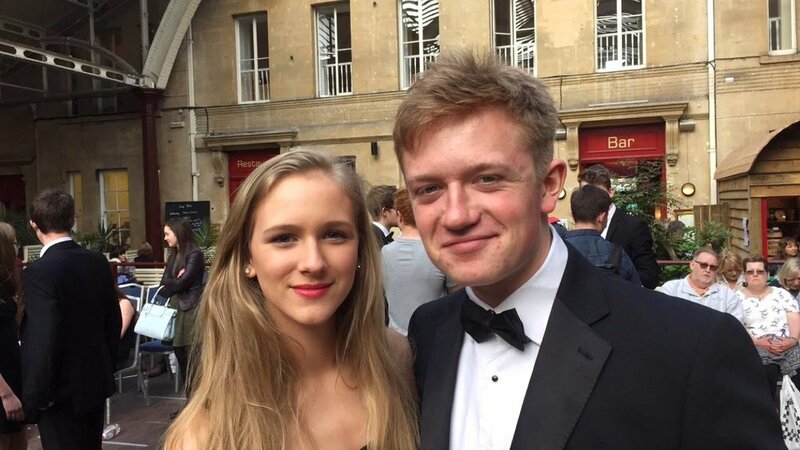 Following William’s tragic and untimely death on 28th May 2016, his parents Paul and Lesa Cross established the William Cross Prize for Politics, to be awarded annually to a Sixth Form student at Kingswood School. The second winner of the Prize (together with a book token), at the Kingswood School Annual Prize-giving in July 2018, was Rose Buxton. 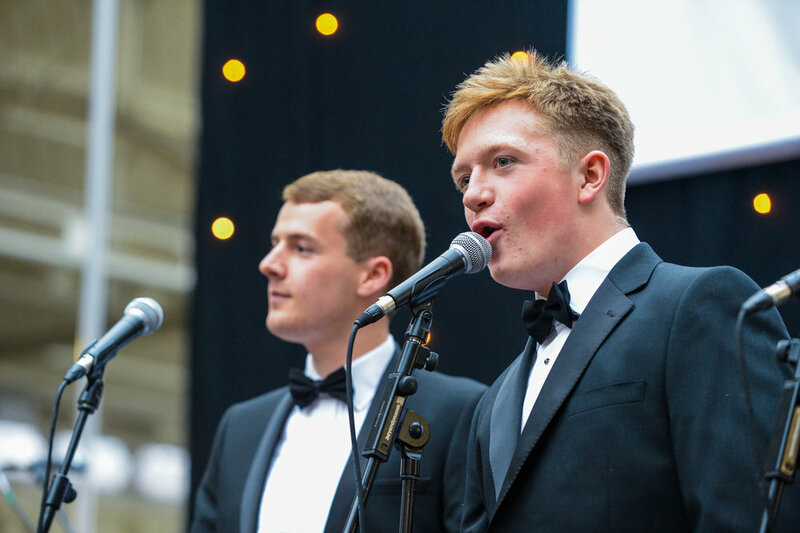 At the Kingswood School May 2018 Summer Ball, the Friends of Kingswood sold raffle tickets to raise money for the Kingswood 6th Form’s two chosen charities. One of the charities they chose was the William Cross Foundation. The hard work of the Committee gathering a fabulous array of prizes and generous parents resulted in a total of £700 being raised for the Foundation. Representatives of the Friends of Kingswood presented Paul and Lesa Cross with a cheque for this amount at Kingswood School. On the evening of Friday 8th June, the family of the late Will Cross, members of his bands: Stolen Souls, 5 Second Rule and Trenchard; parents, and a small group of friends, gathered at Stage 2 Studios, Brassmill Lane, Bath, to celebrate the official opening of a newly refurbished studio dedicated to the memory of Will: the Will Cross Room. The owner of Stage 2 Studios, Dan Flitcroft, thought of the idea as a tribute to Will and as a way of keeping his name alive, as he and his fellow band members had spent many enjoyable hours rehearsing and recording some of their material at the studios. The particular studio named after Will is the same one in which 5 Second Rule were televised playing on BBC Points West, following their "five minutes of fame", after their song ‘Drives me round the bend’ was played three times on the Chris Evans show on BBC Radio 2. On 18th October 2017 we attended an Award ceremony in Bristol, where we were presented with the Order of St John Award for Organ Donation, to recognise the important gift that William made by donating his organs for the purpose of transplantation following his death, to save the life of others. On the left of the photo is Brian Tierney, the nurse from the South West Organ Donation Team, who attended to us in Southmead Hospital from the start of the transplantation process, and who was with William throughout. See www.orderofstjohn.org for further information about the Award.